in (unstretched) twisted rib in the round using 2.5mm (US 1.5) needles. Fits hands 6.75” to 7.5” in circumference measured around the knuckles. Nicnevin is the Scottish Goddess of witches. In Fife it was believed she would steal unfinished knitting projects on New Years Eve - so get these done in plenty of time! These mitts feature two cables that blend seamlessly into the rib at the cuff and top of the mitt. The asymmetrically placed cable on the back of the hand is complemented by the thumb cable which splits to surround the thumb gusset before merging together again at the top of the glove. These mitts are perfect for showing off those special one of a kind skeins to the best advantage. 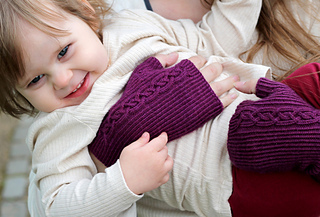 The mitts are super stretchy due to the twisted rib and will fit most teens and women and it’s easy to adjust the size. The twisted rib means they will fit with plenty of negative ease. If you want to make the gloves a different size, you can simply add or remove extra ribbing from the palm. The pattern includes both charts for the cables and written instructions, so however you like to read your patterns, you’re covered! The pattern also includes a photo tutorial for a super stretchy cast on called the alternating cast on for the bottom of the glove, and the backward loop cast on. You can also see the photo tutorial on my blog. The pattern has been tech edited and test knitted. There’s a screenshot of the pattern, and a list of the stitches used at the bottom of the photos. 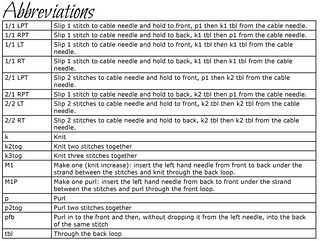 These additional techniques are used: cables and picking up stitches. This is the third pattern in a trio, the first pattern is Beira and the second is Brighde! Fyberspates Rural Charm is now discontinued, but Easyknits Mesmeric or Posh Yarn’s Betsy Sock will substitute perfectly.